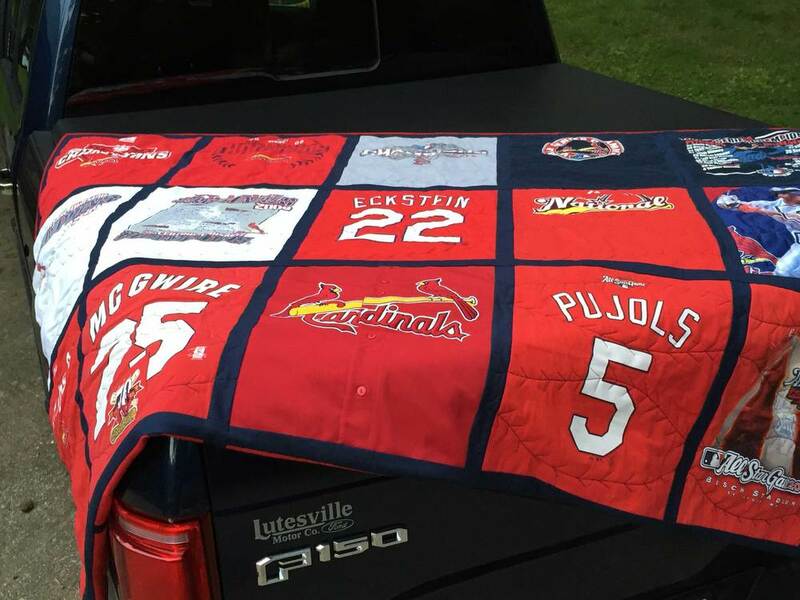 Wrap yourself or someone you love in memories with a custom made t-shirt quilt! Have a stack of t-shirts in a box somewhere that you just cannot part with but have not worn in years? Give them a second life in the form of a t-shirt quilt. Popular collections include sports, marathons, fraternities, and concerts. All t-shirt quilts produced by Trace Creek Quilting are fully quilting with either 80/20 cotton/poly batting or fleece and will stand up to regular use and wash over the years. These quilts are made to be used and enjoyed!